I am so excited to pair up with Kelly at Farmstead to start up our Summer Camps to inspire, create and shop. 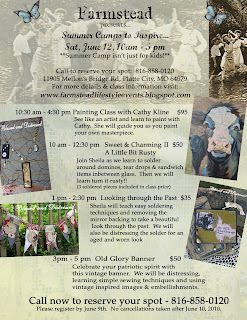 Not only myself, but Cathy Kline a local painter, will be kicking off our Summer Camps on Sat, June 12th. Visit Farmstead Lifestyle Events to sign up for classes.